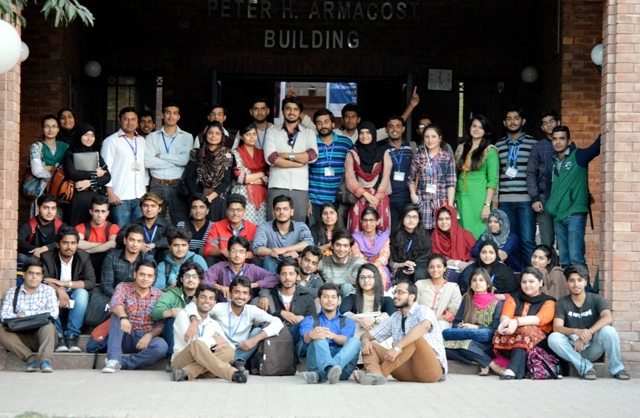 On 12 November 2014, the Senior Biology Society (SBS) organized an event to welcome the prospective freshmen of Biological Sciences, Biotechnology, Bioinformatics and Environmental Sciences. The event started off with a special countdown video. Zarina Baig was the host for the event. Hina Farzana and Kamran Rasool introduced the freshmen to Senior Biology Society and its projects, as well as encouraged the students to be a part of SBS. Freshmen were introduced to the faculty of their departments. A video of seniors welcoming freshmen was also shown. The segment of stand-up entertainment by Arslan Amjad, Skander Munir and Muhammad Abid was thoroughly enjoyed by all. The event came to an end with a group photo of Team SBS with freshmen. 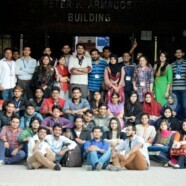 The Freshmen appreciated the efforts of Team SBS to make them feel at home in their respective departments.